VersaLift Neck Cream is a breakthrough in anti aging skincare and a tighten neck skin cream with proprietary moisture-locking technology to reduce the appearance of aging skin. Our advanced bestselling neck cream targets neck lines and sagging, improving the elasticity and density by accelerating cell reproduction and rebuilding the skins barrier to fortify and firm delicate skin. A unique combination of skin tightening ingredients powers this lightweight neck firming cream, such as hyaluronic acid to hydrate, botanical seed butters retains water in the epidermis, and Algae extract with Pullulan to help the product penetrate more deeply into the skin. An effective, ultra firming and restructuring blend that lifts the skin and improve overall texture by promoting natural collagen stimulation and reinforcing elastin production for better cohesion, suppleness and skin tone. Formulated with antioxidant moisturizer locking formulated with peptides, retinol, vitamins and clinically tested ingredient called Rubixyl, signaling to opoid receptors in the skin. If you are looking for the best selling neck cream or neck firming products then look not further! Developed exclusively for the fragile neck and décolletage, this potent firming and exfoliating treatment helps correct the telltale signs of premature aging and UV overexposure. Our ingredients help to repair and hydrate skin instantly while decreasing fine lines and wrinkles and reducing the sagging neck appearance. It gives the skin immediate firmness and beautiful youthful freshness. Collagen Peptides and Hyaluronic Acid revitalize skin while the peptides act as signaling molecules to repair and stimulate collagen.This luxurious fast absorbing cream encourages a strong, supportive network to lift away years, restoring youthful tone and definition to the neckline.Neck creases are smoothed from the inside out and a toned, tighter look is restored. A small amount of retinol gently exfoliates to diminish the appearance of uneven pigment and dark spots from aging and sun exposure. Contains Apple Stem Cell Extract to help preserve healthy skin cells for skin that looks and behaves years younger. A Lipo-Amino Acid helps target collagen and promote GAG’s (Glucosamine), a component of skin's natural filler, helps build the underlying support matrix, plumping and lifting slack, lined skin. 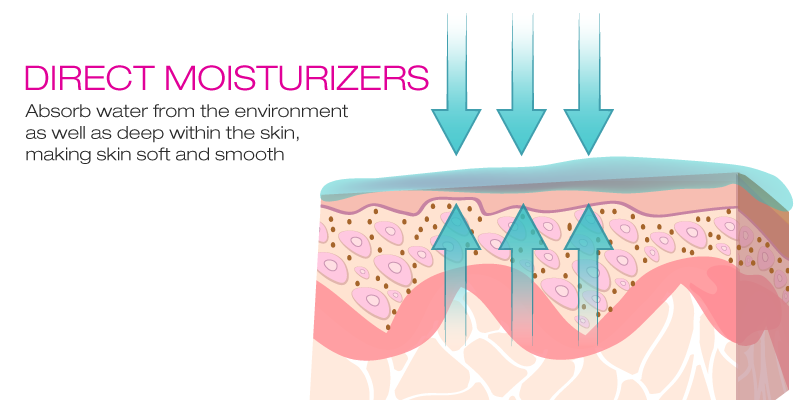 Glycosaminoglycans, known as GAGs, are polysaccharides that exist naturally in the dermis of the skin as natural moisture factors that bind nearly 1000 times their weight in water. The most commonly known GAGs are hyaluronic acid and dermatan sulphate. Benefits –Designed to smooth, tone and restore elasticity to the skin. A formula enriched with moisture drawing Hyaluronic acid to help hydrate the skin's intercellular reservoir, raising its moisture levels, and smoothing down age lines in the neck. The best-selling VersaLift Neck Cream delivers Advanced Peptides, Hyaluronic Acid, Fatty Acids, Plant Extracts, and Antioxidants that work cohesively to create a smoother, firmer, and younger-looking neck. These powerful ingredients restore youth and diminish the effects of age around the neck and décolleté. This ultra-firming and restorative cream is designed to lift skin, improve texture, and increase hydration. It works on two levels of stimulating collagen synthesis and reinforcing the intercellular matrix, for better cohesion, suppleness and skin tone. VersaLift includes HylaCell® Stem Cell Technology, which is a proprietary blend of Hyaluronic Acid and Botanical Stem Cells to repair, restore, nourish, and hydrate the skin. VersaLift includes VersaSphere Technology, a high molecular weight Hyaluronic Acid, delivered in a time-released manner, ensuring penetration into the deepest cutaneous layers to progressively deliver ingredients in the target activity site for a long lasting effect. Using upwards strokes gently apply a dime-sized amount on to decolletage, working your way up the neck to the jawline. I love this cream! It really works. I am a NP and we order this product all the time. We can’t keep it in stock in our busy NY practice. It works and it feels amazing. We have excellent success with this neck cream and can’t keep in stock in our busy Dermatology office. Great product. I love this product. It works better on my neck than any I have tried.